One thread that weaves consistently through the films of director M. Night Shyamalan is very simple, but simultaneously spiritually and morally uplifting. In the vast majority of his cinematic works, audiences encounter characters who, after seeing the world in a new way, finally understand their place in it. The clouds -- their previous assumptions about life -- suddenly part, and the sunshine of understanding, of destiny, shines through. Shyamalan’s protagonists, whether Dr. Malcolm Crowe (The Sixth Sense) David Dunn (Unbreakable), Father Graham (Signs), or Cleveland Heep (Lady in the Water) all conform to this particular pattern. Throughout their respective narratives, these men are depicted as carrying around sadness or discontent because their destinies -- their very purpose in life -- is unclear to them. Through the (often harrowing…) events in their narratives, however, these characters come to discern their place, and their role, and thus achieve their rightful destiny. In short, the films of M. Night Shyamalan are all about discovering yourself, and your purpose here on this mortal coil. Not knowing your purpose is a source of not merely unhappiness, but the greatest soul-sucking pain. These men feel empty, alone and isolated because they no longer believe in themselves. They no longer know who they are, or where they fit in. Sometimes, in Shyamalan’s films, we actually meet two characters who achieve this critical understanding about destiny. And sometimes, those characters take parallel or opposite-styled journeys. They act as mirrors for one another. Certainly, that’s the case with the director’s first feature film, the Academy-Award nominated The Sixth Sense (1999). The film involves a psychologist, Crowe, and his patient, Cole Sear, coming to terms with their respective trajectories and destinies in this life. Crowe learns that he can correct two great wrongs in his life (one personal; one professional), but that this is his last opportunity to do so. Meanwhile, Cole learns that he needn’t be scared of what he sees, and that his strange vision is a mechanism not for inspiring terror, but for him to help people; spirits who still have something significant to tell the living. It is not revealing anything, at this late date, to report on the 1999’s film’s final revelation, that Malcolm himself is one of those spirits that Cole can see and help. Cole “sees dead people,” and so Crowe, we learn, is dead himself. This is the nature of the film’s twist ending, but as is often the case in the works of Shyamalan, there are various and numerous bread crumbs leading viewers to this conclusion, from the very start of the film; following Crowe’s tragic shooting. Of course, we can question if this ending is actually a surprise at all given the assiduous preparation for it. After all, another common factor in many of M. Night Shyamalan’s films is that they don’t merely tell stories; they comment on storytelling, on writing in general. 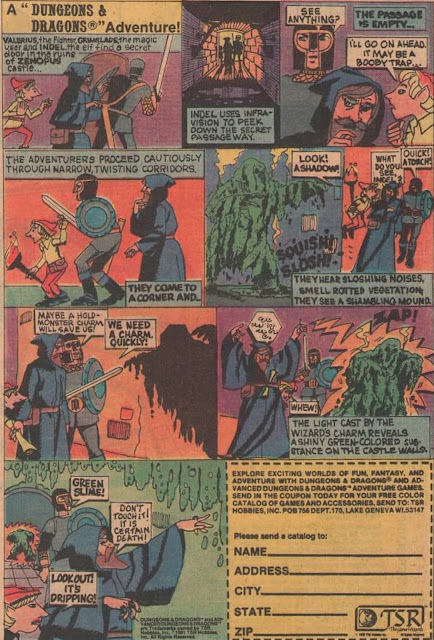 For example, Unbreakable muses about comic books as a kind of sacred text, one that reveals man’s true nature and history. Similarly, Lady in the Water features an acerbic movie critic (Bob Balaban), and the various ways that people read or analyze stories. And The Sixth Sense involves, quite explicitly, how stories are structured or organized so as to galvanize the audience’s attention. Specifically, stories can’t play all their cards at once. As Cole informs Crow, “you have to add some twists and stuff,” or they are boring. This is Shyamalan’s tell, another breadcrumb, so-to-speak, that prepares us for the denouement. From the film’s dialogue about “twists and stuff,” we understand we should expect something that will shift our perception of what might be seen as a linear or straight-forward story. And that’s precisely what Shyamalan delivers in the movie’s climactic scenes. What is the story we think we are experiencing in The Sixth Sense? It goes something like this: Traumatized adult psychologist helps disturbed, possibly psychic kid. But in fact, the story is not that. Rather, it is this: Psychic kids helps a disturbed ghost make peace with his life, and his mistakes in life. Cole and Crowe (like Elijah and David Dunn in Unbreakable) switch places; switch roles in terms of our understanding of them, as the film ends. Actually “switch roles” may not be the right choice of phrases here. They are who they have always been, we simply begin to perceive their roles differently in light of the revelation that Crowe is dead. 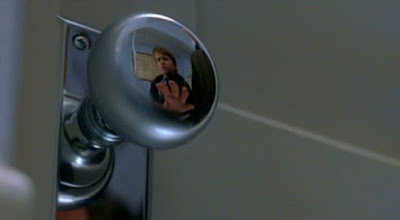 The Sixth Sense thrives as a brilliant work of art because Shyamalan knows precisely where best to place the camera, and when to move it so that -- on first viewing -- the audience can reasonably fail to notice or observe some important things. But on the second viewing, finally, we understand clearly the significance of things we ignored, or overlooked, the first time. Ambiguity gives way to clarity; uncertainty to order. To create this kind of “dawning” truth, Shyamalan himself made be said to possess a sixth sense about understanding how our eyes and minds process information. What things to our eyes gloss over? What things do they focus on? Shymalan’s approach encompasses both guileless and guileful misdirection, one might conclude. And he makes the switch over in perception seem as clear as day. 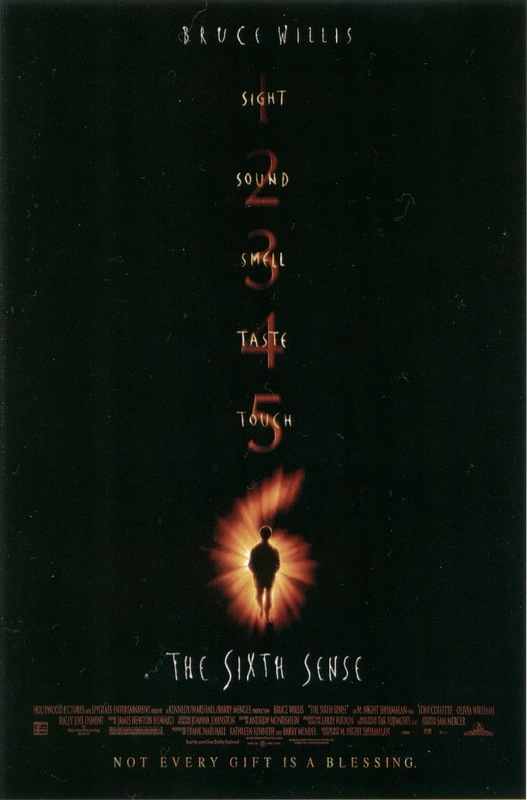 On second viewing of The Sixth Sense, we can’t understand how we failed to miss the importance or relevance of the bread crumbs at all. In this way, The Sixth Sense is actually two distinct experiences. In the first, we proceed upon mistaken assumptions, until we learn the truth. Importantly, this way of “seeing” (a view consisting of mistaken assumptions) is a deliberate reflection of how Malcolm proceeds through life and the narrative. His eyes are only half-open. He misses important details. He is trapped in his belief about that world, namely that he has gone on living as a mortal human being. On the second-go through, however, we see the story as Cole might, with a clear of understanding of who Malcolm is, and who/what he signifies in Cole’s learning. He’s not a trouble kid that’s deluded or hallucinating. He’s the one individual who sees the whole world as it is. And “Sear,” of course, is our bread-crumb or signifier. Sear = Seer. The mirroring of protagonist roles as well as the parting-of-the-clouds, ambiguity-into-clarity visual symbolism together represent a complex and cerebral way to tell a story -- with more than the requisite “twists and stuff” -- and yet even his haters should acknowledge the truth. Shyamalan makes it look virtually effortless. There are only a few “cheats” in The Sixth Sense, and these moments don’t subtract from the picture’s overall success, or the sheer emotional resonance of the tale. In short, The Sixth Sense is a beautiful and complex genre film that holds up to scrutiny, and has something ital. and true to tell us about humanity or at least the way humanity perceives itself. We must have a purpose, and we must understand that purpose, or we are but lost souls. On the very evening that night he receives an award from the City of Philadelphia for his long, dedicated service to the community, married psychologist Malcolm Crowe (Bruce Willis) is gunned down in his home by an old client whom he failed to help, Vincent Gray (Donnie Wahlberg). The following autumn, Crowe is estranged from his wife, Abby (Olivia Williams) and devotes himself to a case involving a troubled little boy like Vincent, this one named Cole (Haley Joel Osment). Crowe must first confirm this boy’s “gift” and then help Cole learn how to live with it, and utilize it to help others, and himself. This dialogue excerpt, however, is also very much about the movie’s audience; you and me. The most significant thing one must understand about the film is that, structurally, it plays delicately on character and audience assumptions. And assumptions are often wrong. 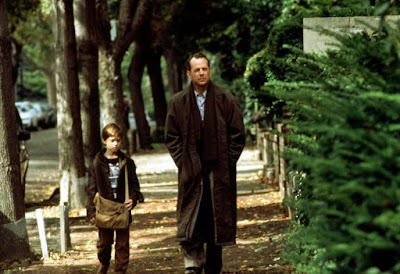 The entirety of The Sixth Sense rests on the writer/director’s capability to make audiences feel a certain way in certain scenes, without getting at what is truly happening in those scenes, until the final revelation lands like a hammer. In other words, the film visually implies certain assumptions and perceptions, and then, in the last scenes, reveal a different perspective. Like Cole’s ghosts, the audience, going in, largely sees what it wants to see, not what actually exists. 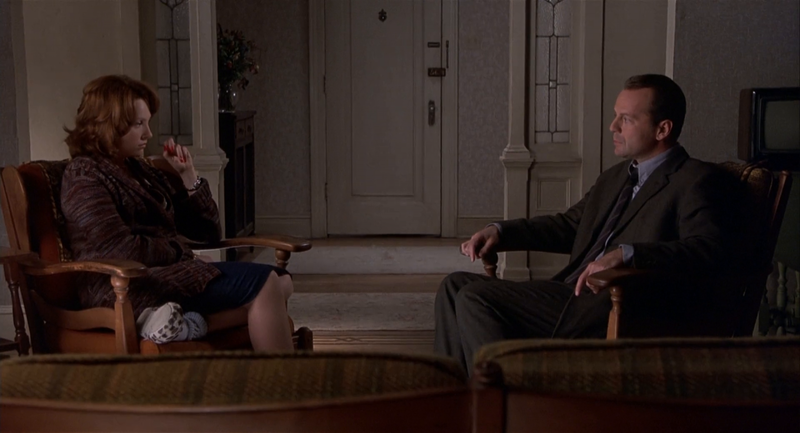 Apart from some notable but relatively slight inconsistencies in this approach, The Sixth Sense largely accomplishes the goal of playing on audience assumptions, of encouraging perceptions and then pulling the carpet out from under them. For instance, we see Crowe’s wife, Abby, crying on a bed early in the film, surrounded by crumpled Kleenex. We assume she is crying because something bad has happened involving her relationship with Crowe. On the contrary, however, she is crying because she is still in mourning over his untimely and tragic death (or, more accurately, murder). But we think their marriage is in trouble in a conventional sense. He’s spending too much time at work. He’s ignoring her. So she’s sad. On the contrary, he’s a corpse. She can’t move on. Similarly, it’s noteworthy that Malcolm never meets with Cole in a professional office setting. Instead, Cole goes to the hospital to see him, or sits in an apartment foyer, or meets Cole on the street while he is walking to school. Doesn’t it strike anyone as weird that this psychologist is just hanging around? It might, but as movie-goers we brush off these feelings on first viewing. That said, not many psychologists I know make house calls. But given the severity of Cole’s case, and his young age (plus Crowe’s drive to make up for the mistake of Vincent Gray), we assume the psychologist is making an exception. We assume he has taken a special interest in this troubled boy. In fact, Crowe is a ghost, seen only by Cole, but this example (no office visits) should allow you to detect fully how the movie lets us run with our own ideas and thoughts, and doesn’t attempt to correct us or our perceptions. In another scene, set at a restaurant, Malcolm meets with his estranged wife, Abby for their wedding anniversary. She doesn’t speak to him, and the audience assumes -- again -- that, since the shooting at the beginning of the film, they’ve become estranged. 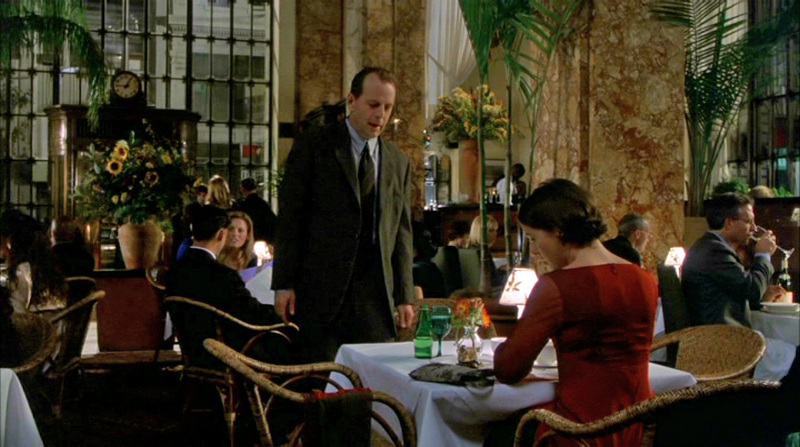 She exits the restaurant in a flurry of emotion, and leaves Malcolm behind, and the audience assumes she’s mad. She isn’t. She doesn’t know he’s present at all. She can’t see him. Even though she says aloud, “happy anniversary” she is talking to herself; not to the ghost she has no concrete awareness of. Commendably, The Sixth Sense does not go out of its way to unduly deceive us. It never states, for instance, that Crowe’s office is being repainted, or some such thing to lead us off the track. I’ll be the first to admit that this isn’t always the case in a Shyamalan film. Sometimes, he tips the scales against us (like the grave stone with the erroneous dates in The Village). But more often than not, he plays fair. He just leaves a gap in the story and lets individual imagination fill it in. For me, this relates to one useful definition of great art, and one I learned from director Nicholas Meyer, in his discussion of the Star Trek franchise. For him, art is the act of not telling the audience everything up front; of leaving holes that allow audience imagination to supply the rest. I find that this is the case with The Sixth Sense, and much of Shyamalan’s work. He gives the audience enough information to rope it in, but not enough information to squelch imagination, or importantly, speculation and assumption. Are there exceptions, or moments that might have been handled more deftly in The Sixth Sense? Well, on this re-watch (probably my fourth or fifth viewing), I noticed that a shadow (presumably Crowe’s) passes over Cole in a meeting at a church. A ghost wouldn’t cast a shadow, would it? But perhaps there was another person in the church, passing by, behind Crowe, at the same time. Similarly, we see Crowe -- a ghost, remember -- manipulate pens, tape recorders, notebooks and other elements of our reality “here” on the mortal coil. How does that work exactly? The Sixth Sense avoids explanation, perhaps to its detriment. As I wrote in Horror Films of the 1990s, Ghost (1990), at least, attempted to explain how ghosts move between and manipulate earthly objects. 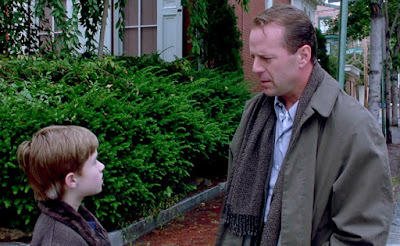 Yet over and over again, given these few exceptions, The Sixth Sense knowingly and deftly stages scenes in a way that encourage assumptions, but can track in the opposite direction too. When the big reveal comes, we realize our beliefs were wrong and that the movie (and movie-maker too) is still an honest, and reliable narrator. All of this is extremely clever, and it’s clear that M. Night Shyamalan is a canny student and observer of human nature, not to mention mainstream movie-going habits, since by and large, audiences do react exactly as he expects them to. He rarely loses his balance. Has any other director, other than Alfred Hitchcock so cleverly, and for such a sustained duration manipulated the audience so expertly? Have many movie talents so assiduously crafted a story that successfully operates in two realities, until the final fork in the road, when only one reality can be dominant? I think you would be hard-pressed to name more than a handful of other talents, and that fact certainly, is one reason why Shyamalan is worth lauding or studying. Consider that most movie lovers you encounter will concur that The Sixth Sense, Unbreakable, and Signs all achieve what they set out to. That’s three times (in a row) up at bat in which he pulled off this feat with consistent audience appreciation and buy-in. I think it is also fair to state that Shyamalan accomplishes a great deal by focusing on small, seemingly ordinary things. The film possesses a strong sense of disorder, as though the world is out of whack. 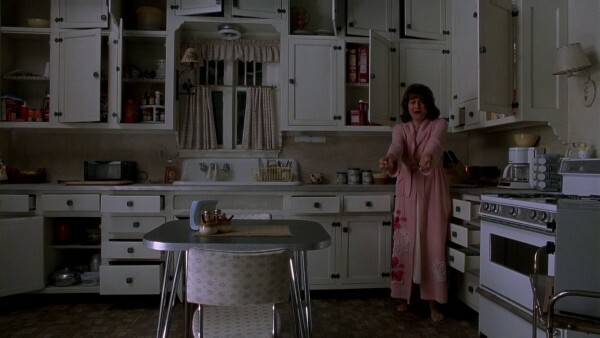 If you gaze intently at some of the visuals, such as a kitchen in which all the drawers and cabinet doors are open, or a girl hiding under a bed, or even a shot of a lone character standing in the dark, shadowed in a dark basement, one begins to see how the visuals themselves seem to symbolize nature's imbalance. No expensive visual effects are needed to make the film frightening. These off-kilter touches do the job magnificently. Shyamalan is one of the few directors still working in this decade who -- like Robert Wise once did --- can make a door-knob seem terrifying. 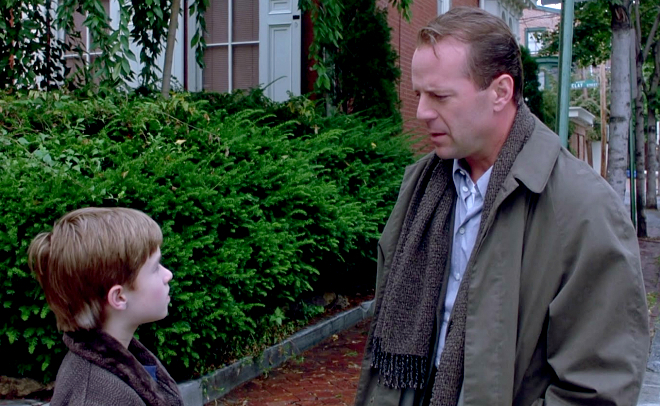 The performances in The Sixth Sense are also stellar, and add immeasurably to the success of the film. Bruce Willis has never been better, I would assess, except perhaps in Unbreakable. He adopts the passive, professional detachment of a clinician here, and that very-internal, very-buttoned approach explains his passivity (why few others seem to take note of him), and also raise alarm bells about his true nature…as a ghost. When Crowe learns this story has been about him needing help, not Cole, Willis opens up, and the film reaches a fever pitch of emotion. He realizes that he has been given an opportunity to fix two mistakes, and makes the most of it. Our final views of Crowe show us his separation from his wife and his sadness at leaving her, while he heads...beyond. Osment, meanwhile, is the emotional anchor of The Sixth Sense, and expresses terror, sadness, isolation and love in an unpracticed, innocent fashion. Cole achieves the ending or destiny he deserves: a recognition of his gift and purpose in this life. Crowe gets that too, understanding that he has made up for two failures, both in putting his wife second to his career, and correcting the mistake he made with another sensitive, Vincent. The most difficult thing for me in terms of all the Shyamalan bashing one finds on the Net is that people seem to think that Shyamalan is trying, in films like The Sixth Sense, to prove he is better than the rest of us. You know, who does he think he is always trying to outsmart the rest of us paeans all the time? Well, there’s an answer encoded right into the fabric of The Sixth Sense. Shyamalan is not working against us, he is working for the audience. What’s my proof? When he has Cole say that stories need twists and stuff or they will be boring, he is specifically looking out for audiences; making certain that his story doesn’t fail to please. Shyamalan has made the audience’s desire for a good story, well-told, paramount in his efforts. We all know the old saying that there are no new stories, only new ways of telling them, right? Well, that’s sort of what Shyamalan seems to be saying in this story, too: I have a new way of telling a story, and I don’t think you’ll see it coming. I’m not certain why that must be perceived as vanity or ego. Aren’t we in the market for strong stories, told in ways that are fresh and innovative? I know that’s why I’m here. That’s why I write books. That’s why I blog. That's why I go to the movies. 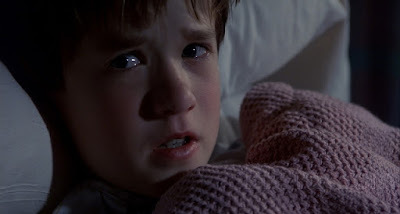 But then a lot of people are like The Sixth Sense’s ghosts, aren’t they? They don’t see the truth, they see only what they want to see. One has to wonder if in some way, Shyamalan was answering his prospective critics in the very body of his film, in the very text of The Sixth Sense. Because what I see in The Sixth Sense is an emotional, horrific and meticulously constructed film that surprises by unexpectedly inverting the roles of its main characters. What I see is a film that recognizes a basic truth that stories just don’t happen magically or spontaneously, they must be constructed in such a way so that the audience remains engaged from start to finish. What I see is a film that recognizes the fact that our eyes don’t always tell us the whole story on first look. Sometimes, to truly see, we need to look closer. 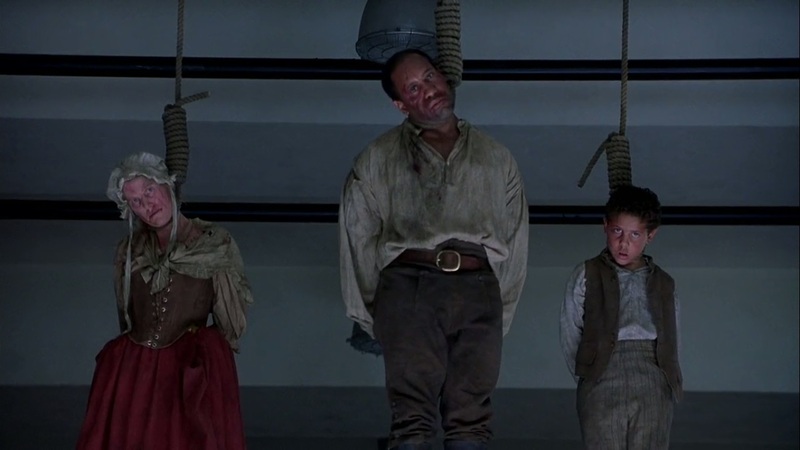 And what I see, finally, and perhaps most importantly, is a film that reminds us that the greatest evil in the world is not death, but the inability to know one’s self, and one’s purpose.